One of the features in CEREC I appreciate the most is designing and creating customized abutment/crown one or two piece restorations. CEREC 4.52 has been a smooth acquisition, design, and production process for implant restorations. Have been very pleased! One hassle for implant/abutment in CEREC 4.6 has been minimal thickness defaults and not being able to modify the metric settings for unique implant design and milled cases. As a result, some cases cannot be milled. This hassle in 4.6 has been frustrating for me. 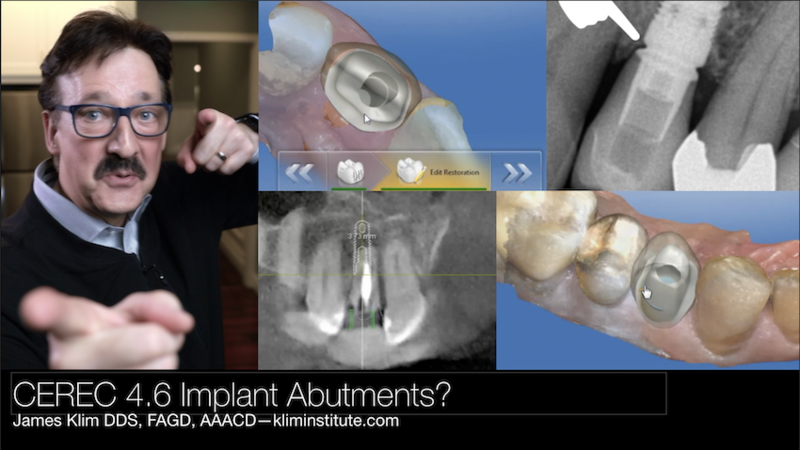 However, I did keep 4.52 on my system which has been seamless for implant design and production. So my go-to CEREC version for implant restorative production is 4.52.